Kristin Fisher, an American journalist and news anchor, is serving at Fox News Network as of 2019. She is a correspondent based in Washington for the news source. Prior to joining Fox News, she was a freelance correspondent for ABC News/NewsOne and WUSA (CBS) for several years. She is the founder of the Field Mouse Films. She has been married to Walker Harrison Forehand since 2011. 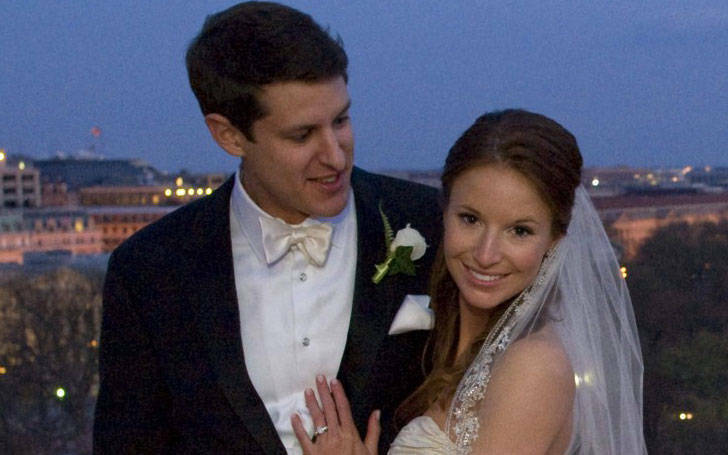 The couple tied the knot at the Church of the Holy City in Washington, D.C.
Kristin Fisher was born on July 29, 1983, in Houston. She grew up in Houston, Texas and lived in both London and Athens. She is the daughter of Dr. Anna L. Fisher and Dr. William F. Fisher, both are former NASA astronauts. She was only 15 months old when her mother, known as one of the first female astronauts, she became the first mother to fly in space in 1984. Her father is now a professor of emergency medicine at the University of Texas School of Medicine, Houston. Fisher has a younger sister Kara Lynne who earned an MBA degree in May 2017 from the Southern Methodist University. Her parents divorced in 2000. She earned a diploma from a local high school. Fisher completed her education from Boston University’s college of communication. She graduated with a BA in Journalism in 2005. Prior to that, she attended National Outdoor Leadership School, where she spent three months living on a glacier in the Chugach Mountains of Alaska. Fisher started her journalism career as a contributor to KHOG-TV (ABC) in 2004. She then took a job in KJCT News 8 as a Reporter and Weekend Anchor in 2005. In 2007, she joined Current TV where she worked as a Freelance contributor for three months. There, she produced, filmed, and edited a documentary-style feature about the two presidential candidates- Hillary Clinton and Mike Huckabee. During that time, she was also the reporter and video journalist for KATV in Arkansas. She did live shots and packaging stories for the weekday evening newscasts. In 2009, Fisher joined WUSA-TV as a reporter and video journalist. Along with reporting, she also produced, filmed and edited several of her own stories while using social media and video blogging to enhance coverage. In 2013, she became the freelance reporter for WUSA-TV and ABC news. Fisher reported live and produced packages for ABC's America This Morning and ABC NewsOne. In 2015, she founded Field Mouse Films, LLC and was the principal filmmaker for the company. The boutique video production company specialized in making documentary-style films for corporate clients and news outlets and has made videos for Starwood Hotels & Resorts and Uber. In 2015, she joined the Fox News as an assistant reporter. Fisher now works as a correspondent for the Fox News Channel. She covered on America's Election Headquarters 2016 (AEHQ) to cover the latest news on the campaign trail and regularly appears on FNC’s news programs. She is one of the talented and experienced journalists in the Fox News. Fisher has covered major breaking news stories including, Hurricane Irene and Sandy, the shooting at the Washington Navy Yard and was a legislative correspondent for the Arkansas general assembly. In 2010, she won an Emmy for her bi-weekly segments on heroes in the greater Washington community. In 2017, The Hill magazine listed her name in the 50 most beautiful woman of the year. 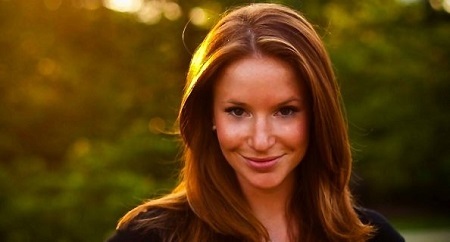 Kristin Fisher's net worth is estimated to be around $1 million. She has earned a good amount of money working as the Fox News Correspondent. She earns more than 50k annually, as the average salary paid to the Fox News employees is over $50k. Fisher has also supported in numerous charitable events and movements. She has led to various social projects. She is active on news media site Twitter and social media site Instagram. She regularly shares her special moments with her fans. Kristin Fisher is a married woman. Fisher is married to longtime boyfriend Walker Harrison Forehand since 2011. Fisher and Forehand met in the summer of 2003 when they both arrived in Athens for a six-week study program. They liked each other and soon they shared their first kiss during that time. They were apart from each other due to their study, however, were united after a long time in 2009 when Fisher transferred to Washington D.C. After several years of dating, the couple got married in March 2011. It’s better to overachieve in life than underachieve and I truly feel like I’m overachieving… I really feel like I’m the luckiest guy in the world, and I don’t say that lightly…that’s the way that you want to feel when you’re getting married to someone. The wedding was held at the Church of the Holy City in Washington D.C. Fisher shares a child with Forehand named Clara Fisher Forehand. She welcomed their first daughter Clara Fisher on 19 December 2017. The same day when her colleague Jackie Ibanez welcomed her third child and first son Vince Bo. Her husband Walker H. Forehand serves as Senior Principal at Promontory Financial Group, LLC and served as its Principal of Washington office. Mr. Forehand serves as an associate and private equity investment analyst at Hovde Private Equity Advisors LLC. He previously served as a junior investment analyst at Hovde Capital Advisors. His skills and expertise are assisting in the analysis and valuation of investment opportunities in the financial information. Fisher also has a pet dog and she calls him fur baby. She frequently shares his pictures on her Instagram. Height: She is 5 feet 8 inches tall. Age: She is at the age of 35 (2019). Here is the video of Fisher covering the news of POTUS Donald Trump during his presidential campaign.